I happen to be driving through one of my favorite spots in the Grand Tetons. 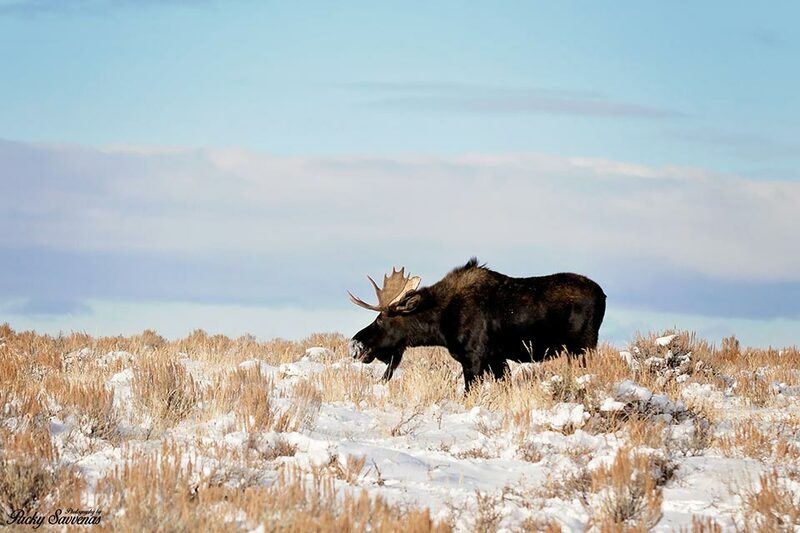 I was looking for the famous big bull moose family that I’ve been keeping an eye on over the past 3 months. Today these guys just happened to be on the road and moose enthusiast where everywhere. Even the park rangers were around to make sure that none of the moose would get hit or lick any of the cars. 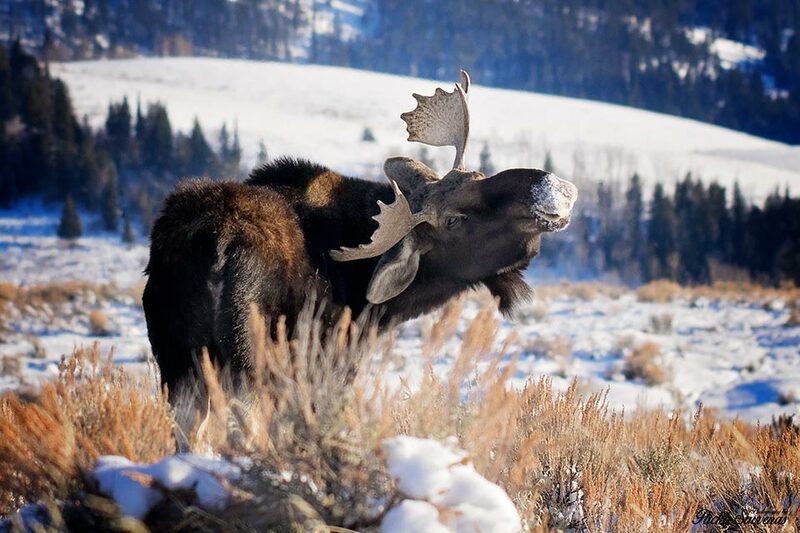 Moose and other animals are drawn to the salt that is on our cars. They will try to lick it, but there’s a lot of contamination involved. You can’t allow these animals to lick your cars! Up here in Yellowstone country, if you let them lick it- you get a ticket… True Story! I happened to have my macro lens that day so I decided to use it since they were up close and personal. I got out of my car and got in as close as I could to these animals without invading their privacy. As I was walking up to this guy he turned around to see who was walking up on him. Of course it happened to be me, yours truly. When you get up close and personal with one of these big bulls during rut season your adrenaline will start to rush as if you’re getting ready to hit the ground running! It’s absolutely amazing and stunning at the same time. I enjoy every second of it and I could never do anything else with my life. 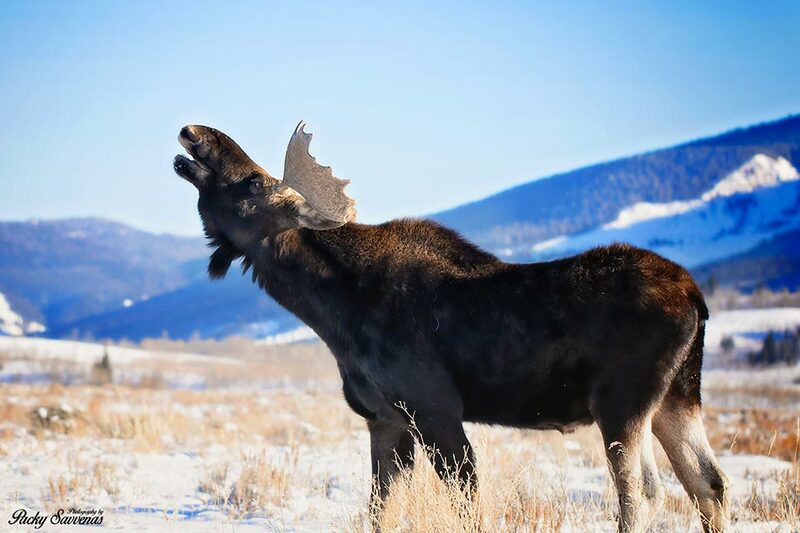 A Beautiful Sky, Lovely Moose and Happy New Years Eve!